Momma Told Me: Cheat whenever you can. Momma always made meals ahead of time. You would always know when you were about to enjoy the same dish, several nights a week for a month, because she's be in the kitchen among gallon size tubs of ingredients with the vacuum sealer at her side. When Momma cooked ahead she cooked a single dish with the enthusiasm of a head chef- an entire freezer shelf would be chocked full of vacuum sealed baggies full of whatever recipe had caught her whim that week. Some of her favorites included (what I fondly call American) tamales, mushu pork rolls, fried rice, and stroganoff. Of course, looking back, I am sure Momma's meal obsessions were more driven by the need to take advantage of some extra hot deal in the grocer's meat department. Today, I utilize her techniques for inspiration to plan entire weeks of meals. For your convenience, I've provided an easy printable shopping list itemizing all of the ingredients needed to make 2 bags (meals) worth for each of the 7 Make Ahead Meal recipes. You will want to begin your meal preparation by cutting your main meal bag portions from the Ziploc® Brand Vacuum Sealer Roll; for each 3-4 serving bag portion I found about 14-15" was the key length. Remember to use the heat 'Seal' function on your vacuum sealer to close one of the open ends on your roll portions prior to filling! Prepping your meat in advance of the additional ingredients will help prevent cross contamination- I like to toss each portion of meat into my large Vacuum Bags (made from the roll) before I begin handling any other ingredients. This way I do not have to touch meat again during prep, and can ensure all surfaces have properly been cleaned. Next you will want to layer all of your vegetables on top of your meat- in some cases you will want to blanche (quick steam) your veggies for optimal freezer storage. In other cases (particularly with broccoli) you may wish to place the veggies in a smaller Ziploc® Brand Vacuum Sealer Tear-A-Portion sleeve. I will often separate ingredients like this in the convenient Quart or Tear-A-Portion baggies to keep them dry and clean during the thawing process. For example for the Chicken Taco assembly I place my taco and ranch season packets in with tortillas and seal them separate. This bag then goes inside the chicken and pico bag, and is sealed within. 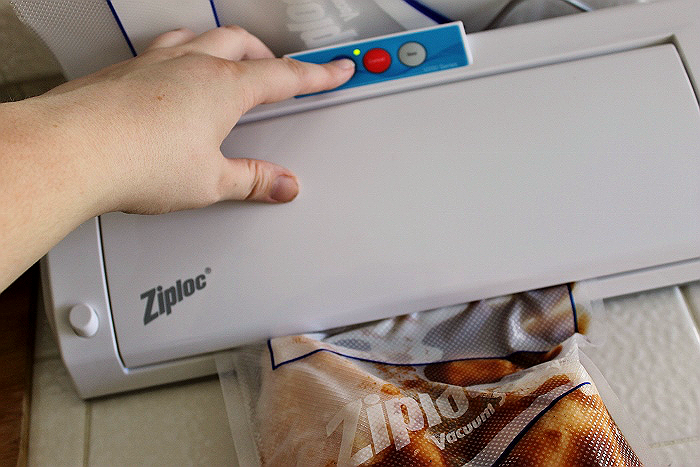 Using the Ziploc® Brand V200 Vacuum Sealer System is easy, but you will need to remember that it seals by vacuum- so having meat and veggies that are as free of moisture as possible will help your system function to it's optimal performance. You will also want to allot an extra 1-2 inches at the top of your bags for suction and sealing in the final process. Thicker sauces will do well to marinate meats as they thaw, but, in general, I store my liquid/sauce blends in a separate bag as well- remember not to use suction on liquids. 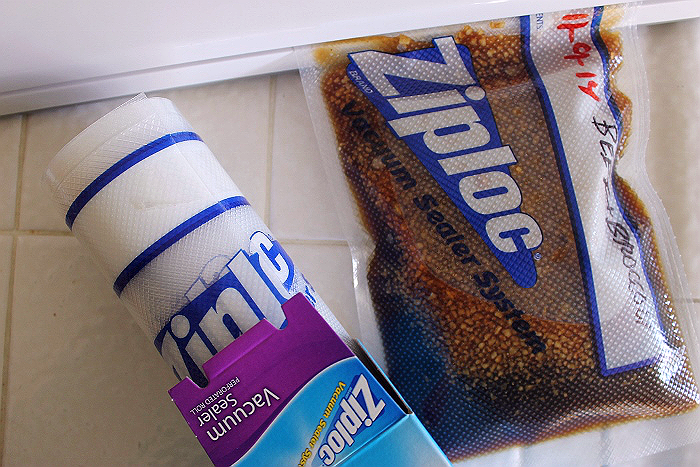 Instead, press the majority of the air out of the bag and gently place the top edge of the bag within the heat sealing zone of your Ziploc® Brand Vacuum Sealer. Press the Silver 'Seal' button and you will immediately have a perfect portion of cooking sauce for your Make-Ahead-Meal! 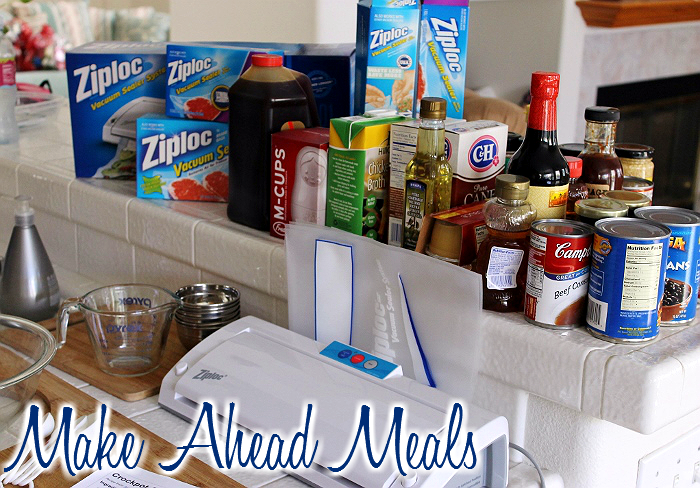 Having your meals portioned out ahead of time is not the only convenience of Make Ahead Meals with a Ziploc® Brand Vacuum Sealer System; these meals are also designed to be dumped directly into a crock pot and forgotten for 4-8 hours. In fact, most recipes have the option of cooking on high, or low, to fit your schedule during the day. 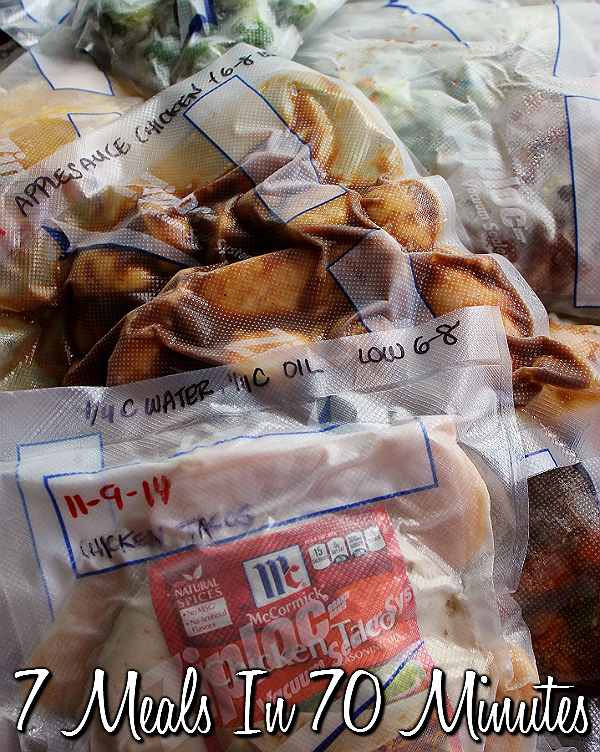 You can even write your cooking instructions directly on the Ziploc® Vacuum Sealer System bags. It is easiest to do this with clean, dry, empty, bags prior to filling. Be sure to mark the preparation date (I do this in Red Sharpie,) and note additional ingredients you may need (some recipes ask you to whisk 2 TBS of corn starch with the juices to thicken the sauce for serving,) as well as preparation time and temperatures. Don't worry, it's really simple! 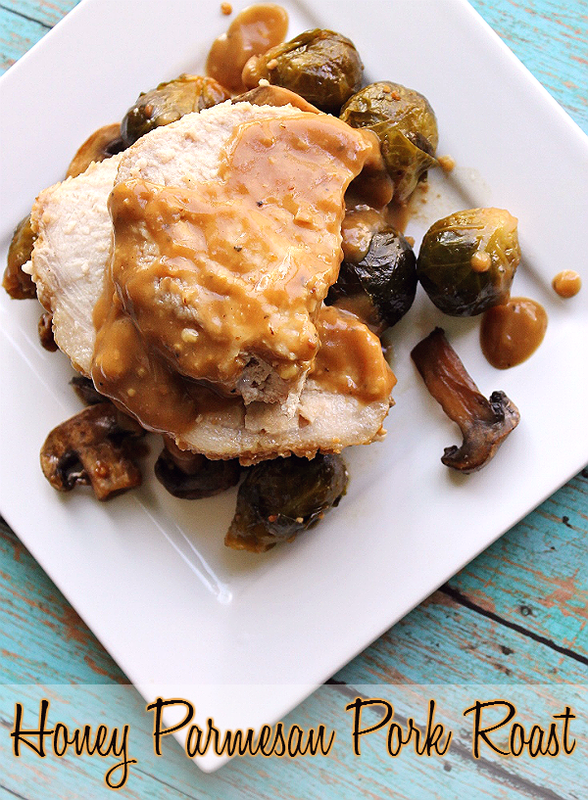 While my 7 Meals in 70 Minutes menu has several Asian inspired dishes, there's also an elevated Honey Parmesan Pork Sirloin Roast with Brussels Sprouts that is incredibly delicious. I happened to have a tray of sliced mushrooms on hand that week so I dumped them in with the contents of my Make-Ahead-Meal bag and let it cook on High for 5 hours. Not only did my house smell amazing, but the roast turned out full of delicious flavor. I even included a gravy packet, to whisk with the juices just prior to serving! Make Ahead Meals are a great way to save time and money when you purchase ingredients in bulk at club stores, or take advantage of an amazing sale in the meat department. They are also a great gift for new mom's- who has time to cook with a newborn in the house? This is just one of the many uses I've found for my Ziploc® Brand V200 Vacuum Sealer System, and the many sizes of Ziploc® Brand Vacuum Sealer bags and rolls that accompany it. Best of all, the entire system is compact and can easily be tucked away without taking up valuable counter space. Looking for a special deal? 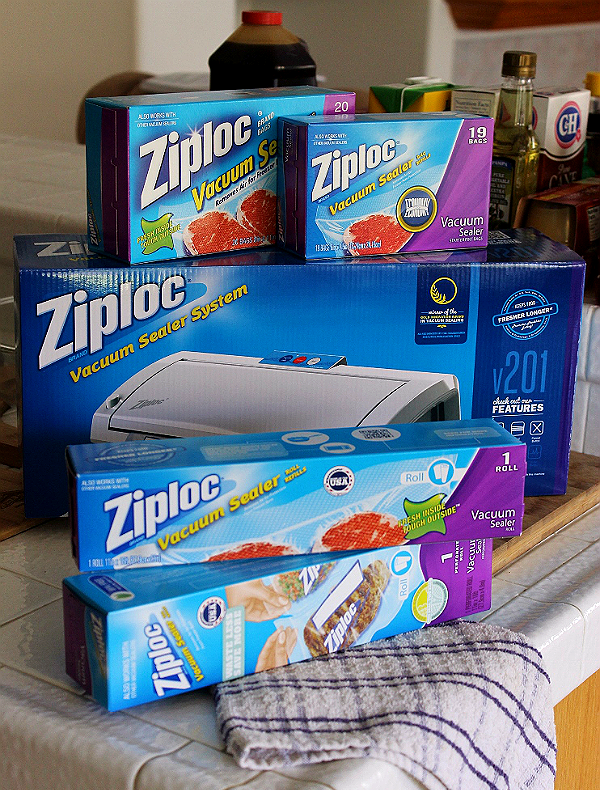 Head on over to the Ziploc® Brand Vacuum Sealer website and score an exclusive coupon! Have you ever prepped a large number of meals/portions at once? What meal would you like to have on hand for busy nights? What Daughter Says: A vacuum sealer can truly be your secret weapon in the kitchen! Pin this then print the Complete 7 Meals In 70 Minutes Shopping List and Preparation Instructions! That's an awesome idea. I always run out of time to make meals during the week. My husband and I could really use this. We need to cook ahead more often instead of grabbing something less healthy at the last minute. I tend to be a seat of my pants cook rather than a all prepared and ready cook. Since I don't work and don't have kids I don't really worry about needing too many quick and easy meals in the freezer. I do use a vacuum sealer for all the vegetables I put up in the summer. 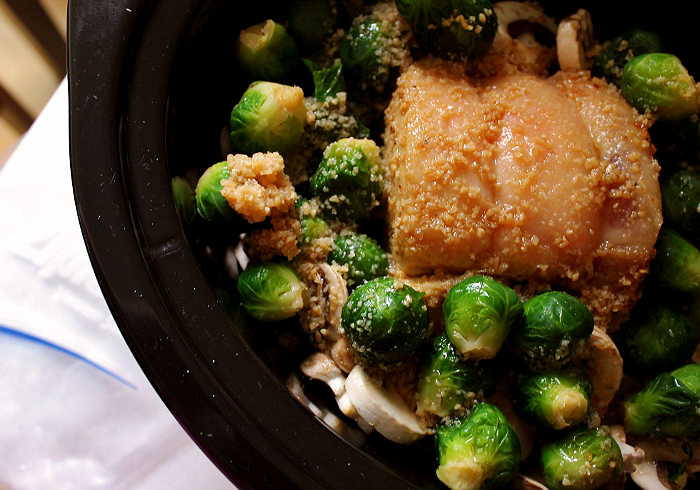 I wanted to make a crockpot meal on Thursday anyway -- hoping to try your pork roast recipe! Sounds amazing! I have the Ziploc sealer but didn't think about using it to prep my meals. Great idea. I've seen this on a couple sites, but you're the first to show it in use. 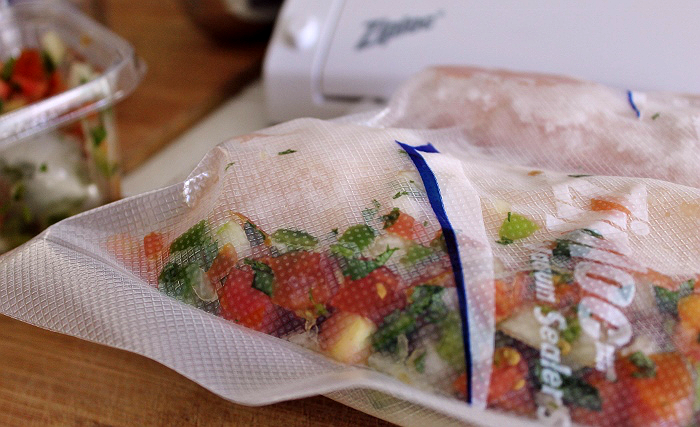 I use vacuum sealers for sous vide cooking, and this one looks like it would be perfect. I have wanted one of these vacuum sealers for awhile - and you really make it look like a great tool. I love your 7 meals in 70 minutes, too; they're all ones my husband would enjoy. Great post! I've always wondered how these works and now I need to get busy in the kitchen making meals for the family! What a great way to make sure your meals stay fresh in the freezer. I printed your lists out and am trying this next week, I love the idea of having meals in the freezer ready to go. I have been looking into these systems because I like to buy in bulk and want to be able to freeze things. I had not even thought about the marinating and assisting with cooking part yet. I did not know Zip Lock had their own version, I will definitely check theirs out, I am sure it is cheaper than what I was looking at. Wow, you trumped me on this post. So many great ideas. I love the idea of seven meals in 70 minutes. 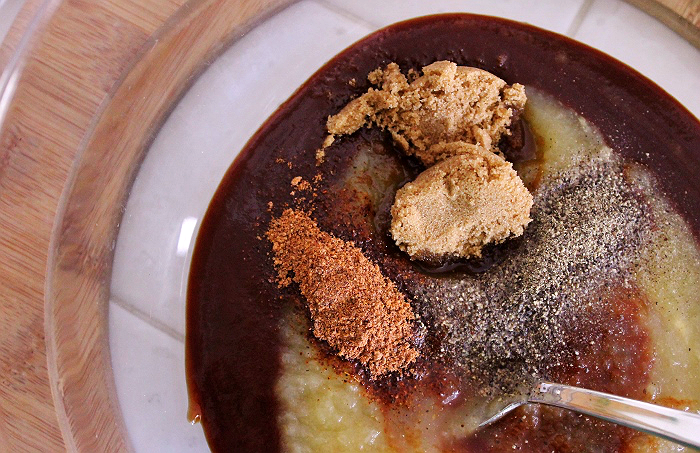 I follow a homemaker blogger who advised making seven meals at a time and then making 7 days of each meal. She said it was so wonderful to have six extra of every meal in the fridge. Wow, I really need to check this out! I love all the ideas on making the recipes too! I bought ALL the ingredients on the list to make all the dinners only to find that in the Honey Parmesan Pork Roast call for brussel sprouts and gravy mix which are not on the grocery list. :-( Now another trip to the grocery store. Nice information. What a great opportunity to try out something you have been wondering about and can really use! !